This wasn’t bad by any means, but it smelled a little too herbal for me. (I know, I know, “herbal” is in the name – but normally herbal soaps don’t smell quite so plant-like.) Still, it lasted a long time and wasn’t unpleasant. Husband and I love it for its cleaning ability. Need to dilute it half and half with water since it’s so thick. I only gave it four stars because I can’t figure out how to make the dispenser work — have to use a different container . . . This is the best liquid hand soap by far. The scent is pleasant, but best of all, the scent does not linger. 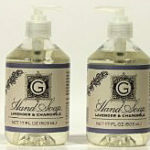 Most hand soaps continue to smell like perfume no matter how much you rinse. I am bereft that this product appears to have been discontinued. Oh My God!!! I cannot believe they discontinued this! I just had the person at my local TJ’s calling all around to any stores fairly close to see if they had any… and NO! I have never found a hand soap that does NOT dry my hands out regardless of how many times a day I wash them, and like the last person said, the smell does not linger! And is beautiful while washing! No sulfates, just pure ingredients, none of their other soaps fit the bill, except maybe that orange-honey, but that has too strong a smell! PLEASE BRING THIS BACK!!!!!!! OMG I love this stuff but can’t find it any more please tell me your going to bring it back! Best soap I’ve ever used great for fry skin. Love this soap!! It has been discontinued and I’m so disappointed. 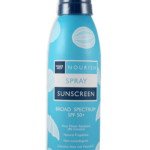 The smell is absolutely amazing and the ingredients are sulfate free.